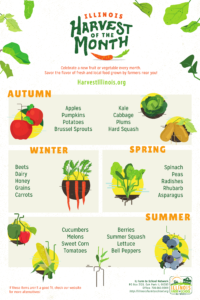 Illinois Harvest of the Month celebrates a different in-season, locally grown food item every month. 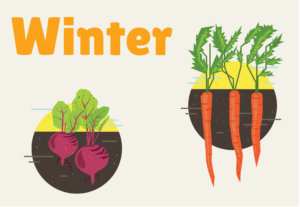 Registered sites receive a seasonal calendar of suggestions for what to feature, then choose what works best for their meal program. Click on the poster image at the right to view or download the PDF. 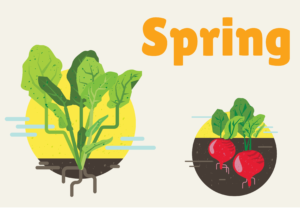 To view a complete list of all the fruits, veggies and more on our website, click HERE.